It is a legal requirement in Ireland for all public spaces and buildings to adhere to Fire, Health and Safety Notice Compliance. Ensuring that your premises is compliant with the latest Fire, Health & Safety Notice Regulations can be time consuming but is vital to ensure that your company does not breach any of these regulations. 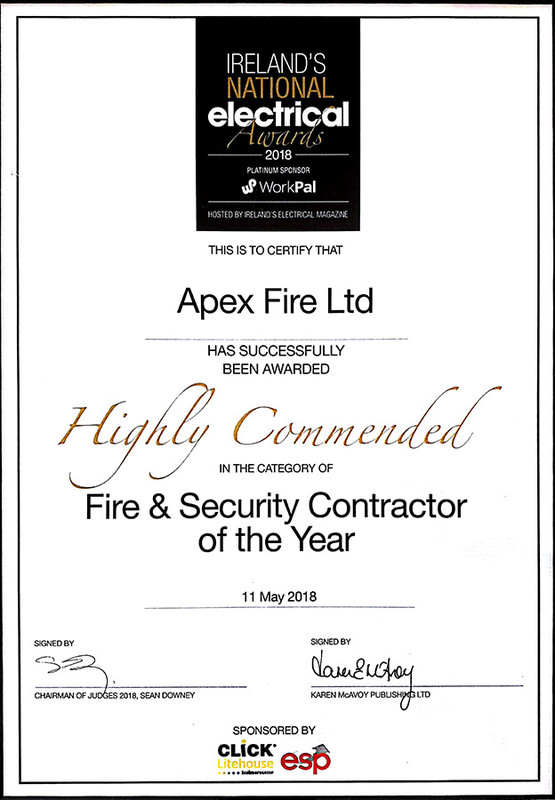 Apex Fire offers their clients site surveys to ensure that they comply with the current legislation. We have a wide standard range of mandatory and optional health and safety signs available which can be supplied as vinyl stickers or mounted onto aluminium, corriboard or rigid plastic. We also offer bespoke products which can assist our clients ensuring that we can deliver all your Health and Safety Notice signage needs. In addition we also offer a nationwide full installation service. To arrange your Fire, Health & Safety notice site survey simply contact us or call our friendly team at 1850 929829.